Now in its third year of striking these spectacular silver bullion coins, the artisans at the South African Mint are taking the Silver Krugerrand a step further and giving it the luxury treatment! 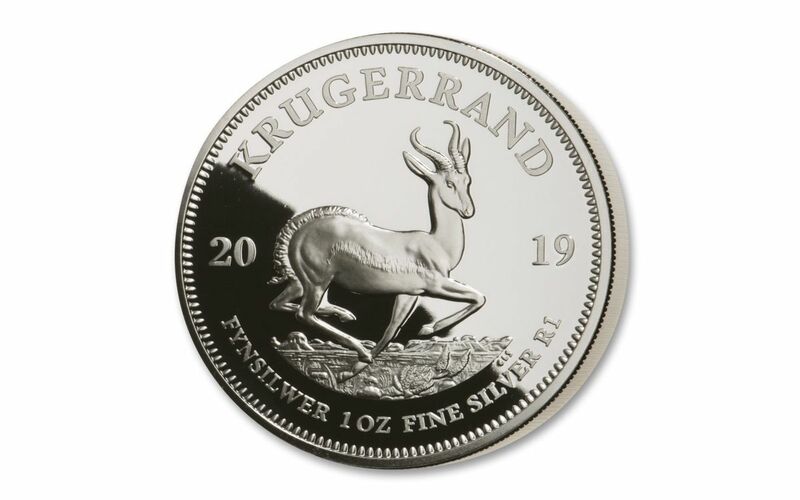 Using specially treated and polished dies along with hand-selected 99.9% pure silver planchets, this 2019 One-Ounce Silver Krugerrand PROOF is the product of multiple strikes and innovative laser-etching technology. 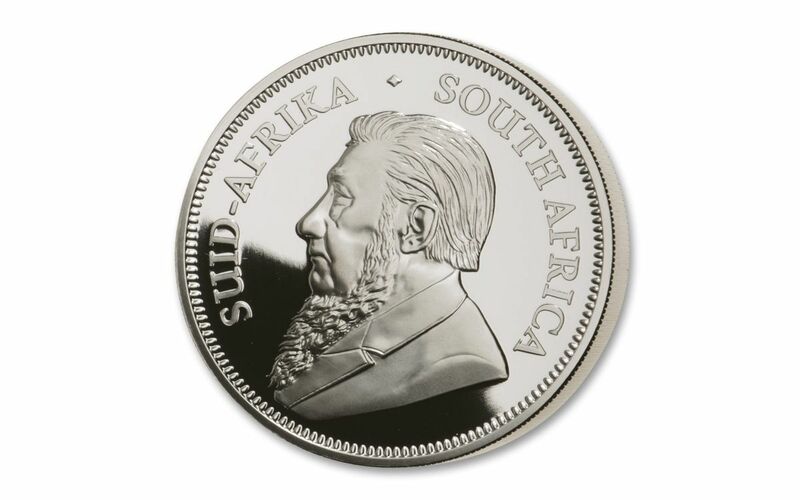 The result is a pristine coin that shines with mirror-like surfaces and distinct, razor-sharp details! 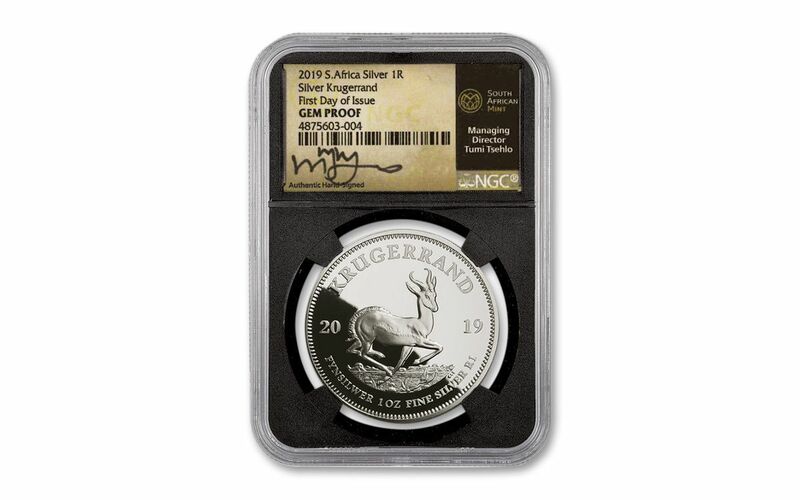 In fact, your coin has been graded by the Numismatic Guaranty Corporation (NGC) being in gorgeous Gem Proof condition, meaning it was expertly crafted by the mint from hand-selected planchets, polished dies and multiple strikes to produce beautifully frosted details rising over mirror-like fields. 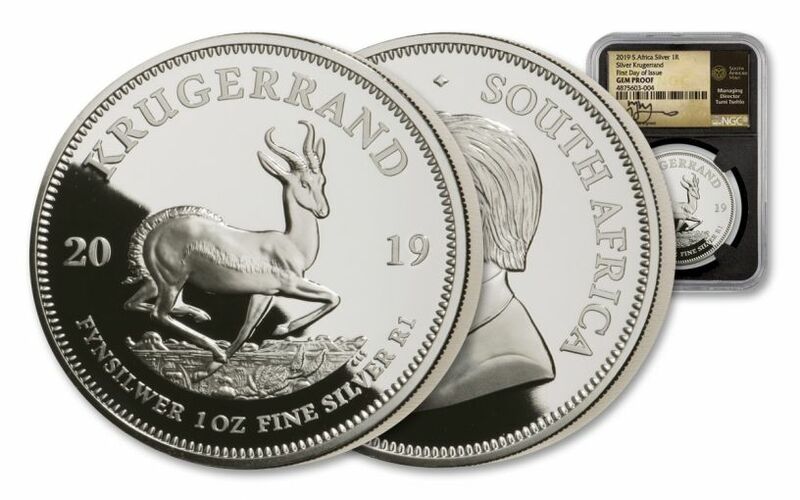 GRADED IN GEM PROOF CONDITION – Your 2019 South Africa One-Ounce Silver Krugerrand has been graded by the Numismatic Guaranty Corporation (NGC) as being in gorgeous Gem Proof condition.